Sure, director is Xavier Dolan is only 23 years old. But he hit the nail on the head. This wasn't a film, but an experience. He unflinchingly takes you to hell and back, exposing people's hypocrisy and humanity. When I saw Dolan's first film J'ai tué ma mère/I Killed My Mother, I thought his style would work if he used better actors. Suzanne Clément (who was also in J'ai tué ma mère/I Killed My Mother) returns with perhaps more experience, but Dolan also brought Melvil Poupaud and Nathalie Baye to the table. Even though Nathalie Baye is a talented actress with an impressive resume, perhaps this is her best film. I saw this film in France, where it's called Mélodie pour un tueur (melody for a killer). 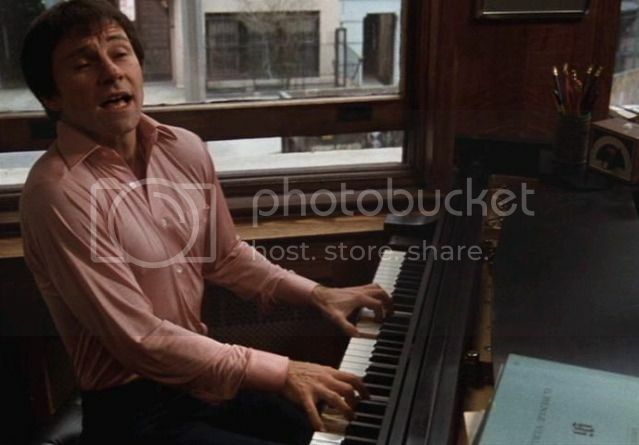 Harvey Keitel plays a guy who is perhaps too old to start a career as a concert pianist, but does so anyway. In between his quest pursuing a girl named Carol (Tisa Farrow) and doing favors for his father, he takes his music seriously: always practicing and always bringing his boombox everywhere. Everyone who has been passionate about something can relate to him. Anyone who is wild about music should check this out. Lots of films try to be gritty and disturbing, but fail miserably. Fingers also explores a darker side of New York, when it was infested with crime and prostitution. Non-stop action, laughs, and a great comparison of the Ming Dynasty to today's world (or rather, the late eighties). Definitely entertaining. Light, but not fluff. Perhaps I'm a little late seeing this film. It was gripping and unrelenting. Definitely a must-see. I was reminded of Neil LaBute's In the Company of Men upon viewing this film. Some callous men scheme to destroy one innocent women's life, blah blah blah. The difference between the films is that Calle Mayor has characters that are more real. Sure there are heartless lunatics, but at least one of the men who is inflicting pain on an innocent victim has a conscience. Definitely not well know, perhaps of its bleakness. However, it was definitely well-done and is also championed by former Chicago Reader critic Jonathan Rosenbaum.